The Bridging program week flew by! 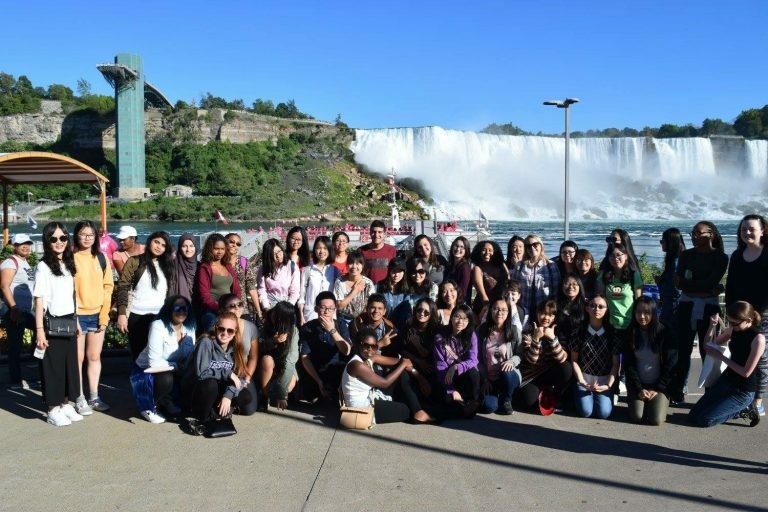 Friday, in my opinion was the most exciting day as we went to Niagara Falls! First, we went to an outlet, and I wanted to spend all my money there. I love shopping and if there’s a sale, even better! I came back with a couple of outfits and body products from my favourite brands. After a two- hour bus trip we arrived at the Falls. Then of course everyone took their touristic photos. We then took the famous boat trip, The Maid of the Mist through the Falls. The staff gave everyone a poncho and we got a little bit worried as we did not want to ruin our hair and make-up! We all put our ponchos on when we were in the boat. It was a very impressive boat ride! While we were riding through the falls, we saw some beautiful rainbows. It was actually the first time I had ever seen a whole rainbow! Going through the falls, we got very wet, but it was worth it! After the boat ride we had a couple of hours to explore the city of Niagara Falls. I love Mexican food, so a couple of girls and I ate at a Mexican restaurant and it was so delicious! 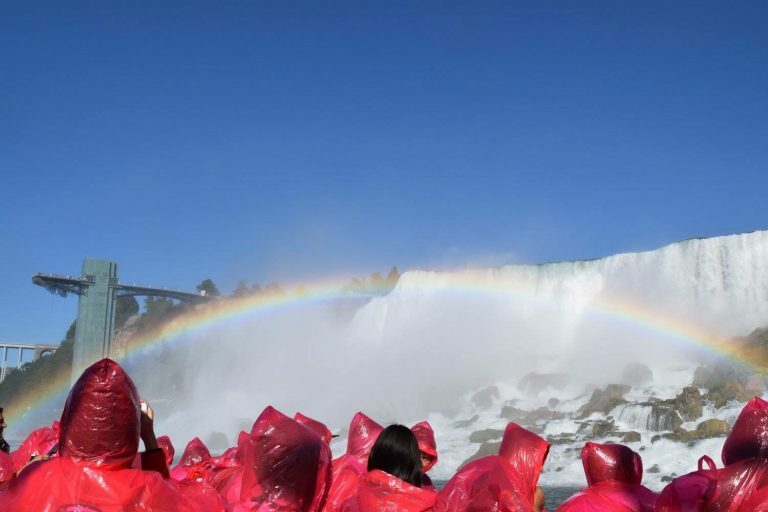 The city of Niagara Falls looked like a theme park, there were so many things to do. Haunted houses, arcade game halls, mazes and of course lots of tourist shops. In the evening, there were also fireworks at the Falls, it was so beautiful! After the fireworks finished we went back to Brescia, as everyone had to get up early again on Saturday… it wasn’t over yet! On Saturday we went downtown and spent a couple of hours browsing. We went to the Covent Garden Market, which sells fresh food products, and I loved it! I bought some fresh fruit and healthy snacks. everything looked so delicious! When we came back to Brescia in the afternoon, Christina Lord was waiting for us with some really yummy Chinese food! Everyone shared their experiences from Bridging week with each other and commented on how much they liked it. And suddenly, that was the end of Bridging week! There was no time to rest because Orientation Week started on Sunday. You’ll read about that next time!